Painting Number 3 of 30 in September. The hardest part of painting so many paintings will be thinking up names for each one! I painted this on gesso board . I ordered 30- 8 by 8 inch panels for this challenge, but they haven't arrived yet, so am using up the supplies I have lying around. Look forward to painting on the same surface each day when my new shipment arrives. Horses have such beautiful eyes. Love the profile view. they do! 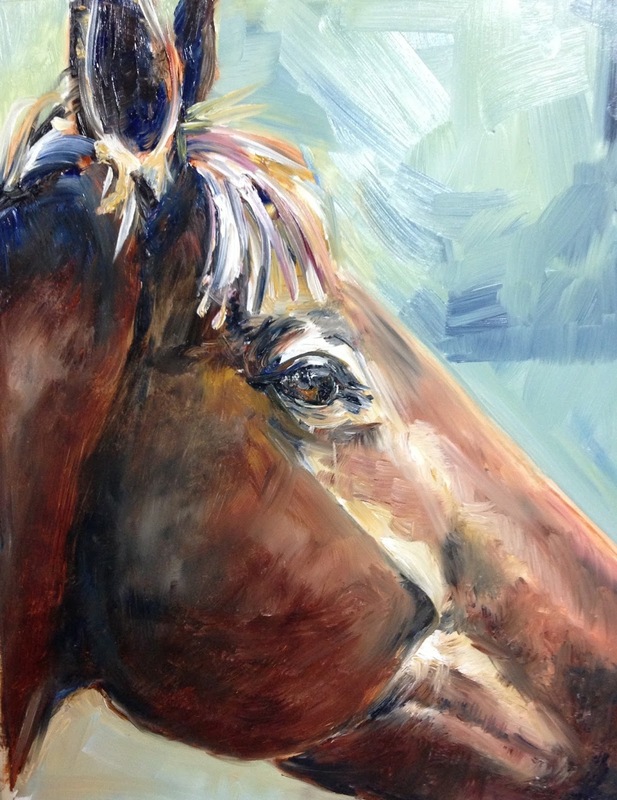 I think I could do thirty days of painting horses' eyes, and still find it to be challenging!